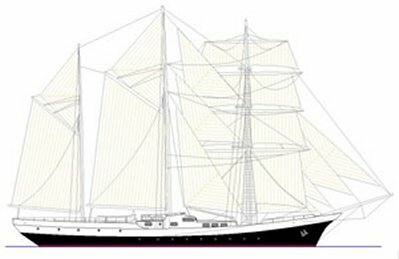 At 56 metre (185 feet) this BARQUENTINE is one of the largest vessels in our range of designs. 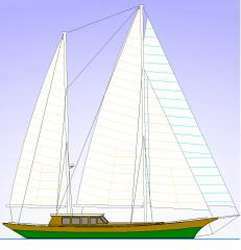 Specified for sail training, this square rigged craft has accommodation for 48 trainees and 15 permanent crew. A high level of fit-out includes a lecture theatre, laundry, and drying room. 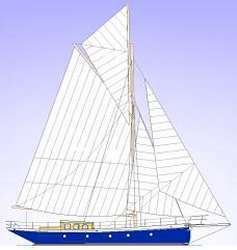 All types of traditional sailing craft can be designed from small cutters to full rigged ships. Construction methods are available in timber plank on frame, laminated timber, steel, aluminium alloy or even modern GRP and composites if required.